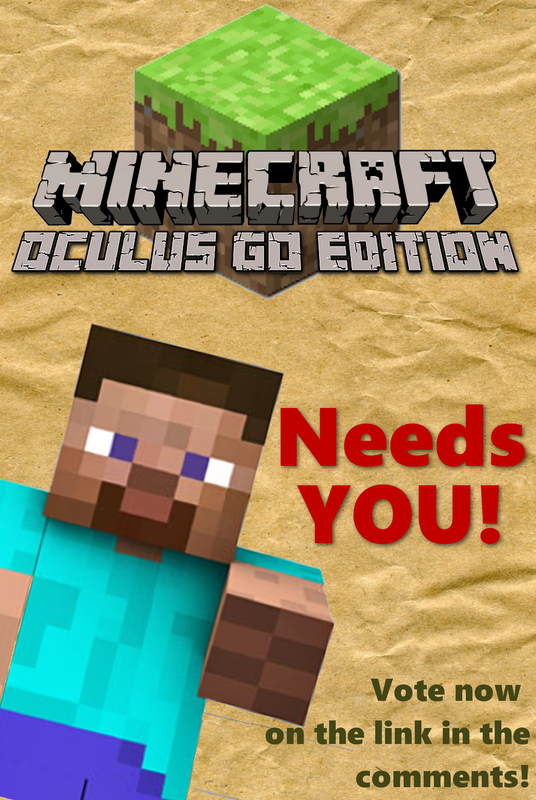 Minecraft Oculus GO Edition needs YOU! We have been doing really great on the votes, and have confirmation from a Minecraft dev that if we blow up the Oculus GO votes, it WILL be prioritized. * - not including already confirmed/announced features.